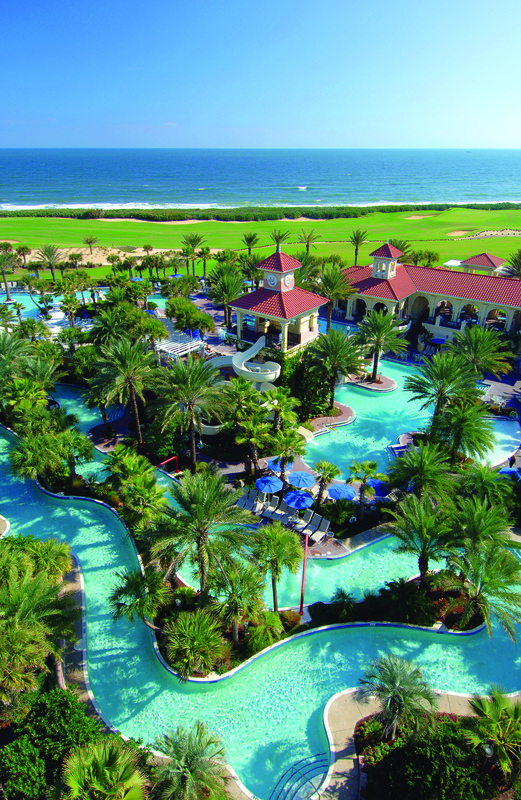 Palm Coast, FL – Book the ‘Early Bird Summer Savings’ offer for the ultimate summer escape to Hammock Beach Resort in Palm Coast. Guests who get a head start on booking their summer vacation to the AAA Four Diamond resort can enjoy the beachfront destination with rates starting at just $145 per night. At Hammock Beach, families can take advantage of a number of activities and amenities that will surely create a memorable summer vacation. Make a splash in Hammock’s 91,000-square-foot water park or lounge at the private resort beach. Golfers can test their game on the resort’s award-winning golf courses: the Conservatory Course and the Ocean Course. Hammock also features a number of dining options including the oceanfront Atlantic Grille and the 117-foot Sundancer Yacht. Booking for the ‘Early Bird Summer Savings’ offer ends June 13, 2015. Travel must take place between June 14, 2015 and September 3, 2015. A 2-night minimum length of stay is required for Friday and Saturday nights. The ‘Early Bird Summer Savings’ offer is subject to availability. Blackout dates and additional restrictions may apply. For more information about Hammock Beach Resort or to book the ‘Early Bird Summer Savings’ offer, visit hammockbeach.com or call 866-841-0287. Operated by Salamander Hotels & Resorts, the AAA Four Diamond-rated Hammock Beach Resort is conveniently situated along 2.4 miles of spectacular Atlantic beach on Florida’s Palm Coast. Hammock Beach features over 300 accommodations, including a 12-story tower of luxury suites. The resort also features countless other amenities for families and groups, including a multi-level water and swim pavilion, indoor atrium pool, spa and fitness center, casual and fine dining restaurants, and oceanfront meeting and function space. Part of the Grand Golf Resorts of Florida portfolio, Hammock Beach is famed for its two spectacular golf courses: the Ocean Course, designed by Jack Nicklaus, is one of Florida’s highest rated and plays six holes directly along the Atlantic Ocean. The Conservatory Course was designed by Tom Watson and is one of Florida’s longest layouts, characterized by waterfalls, babbling brooks and field stone work. 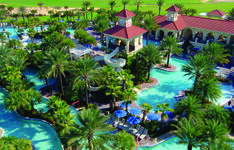 For additional information call 386-246-5500 or visit www.hammockbeach.com.